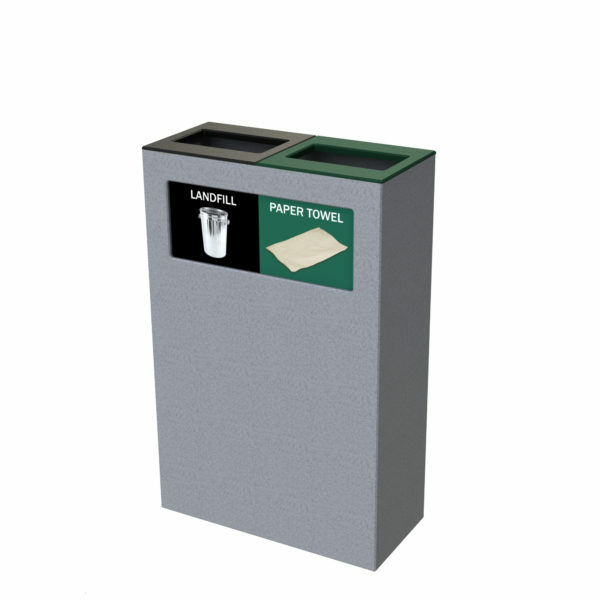 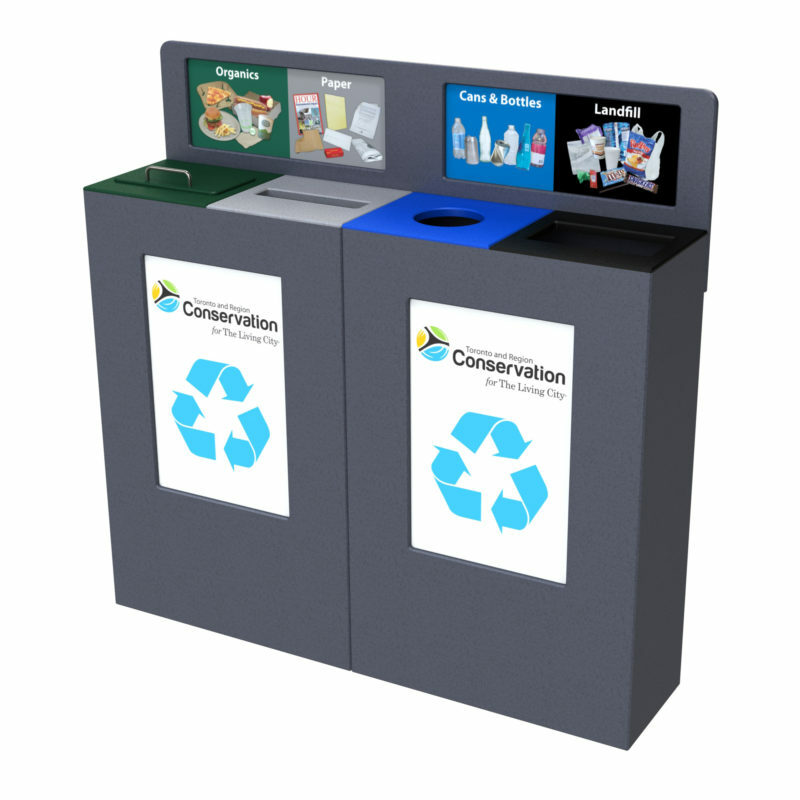 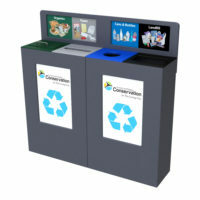 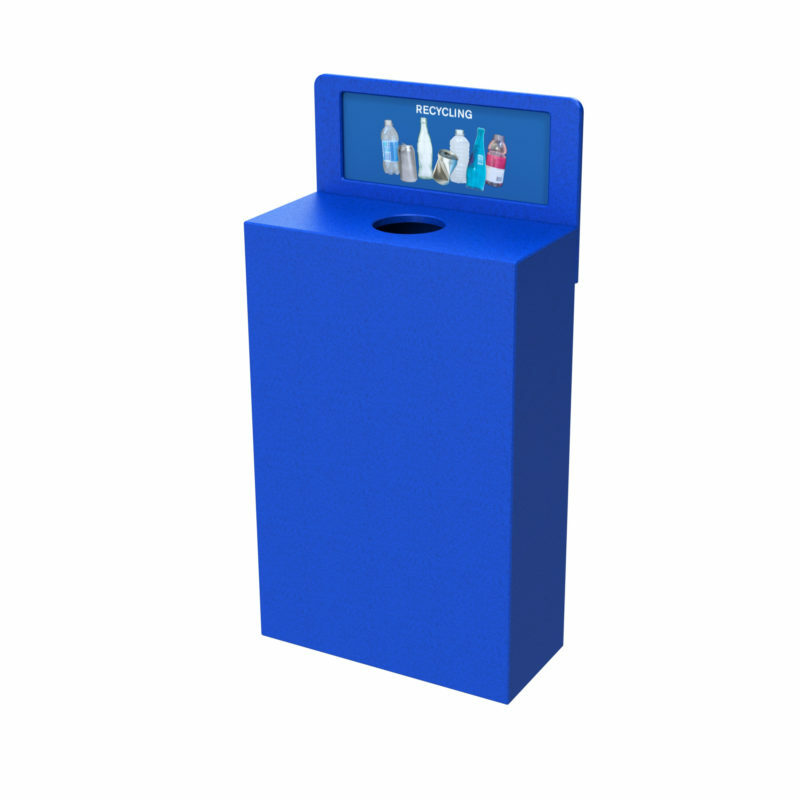 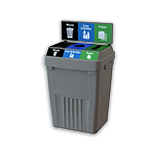 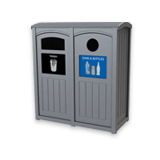 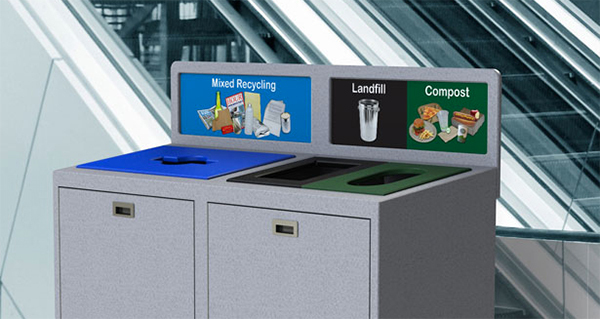 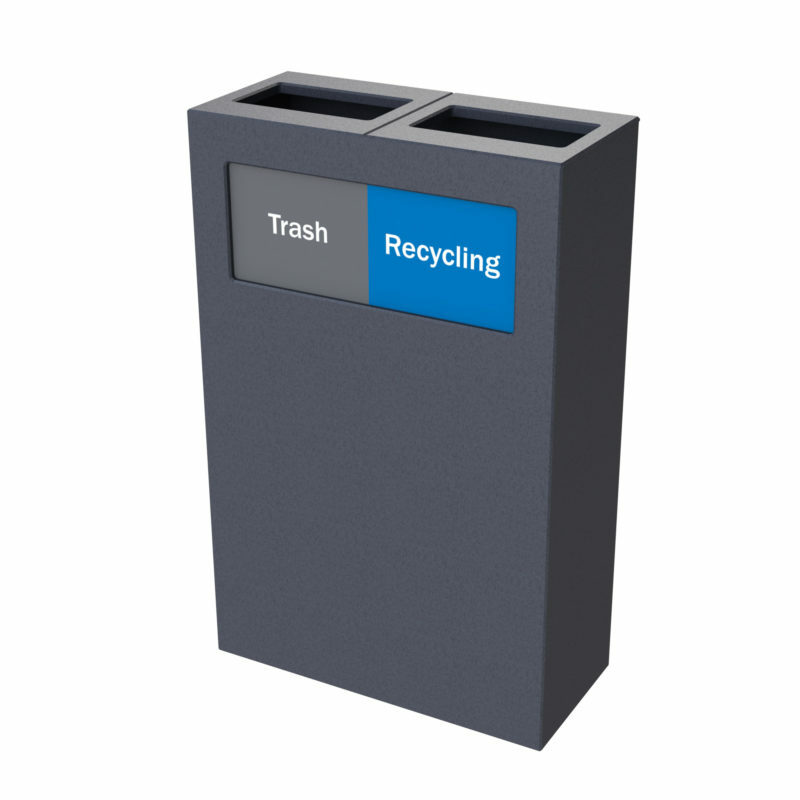 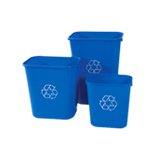 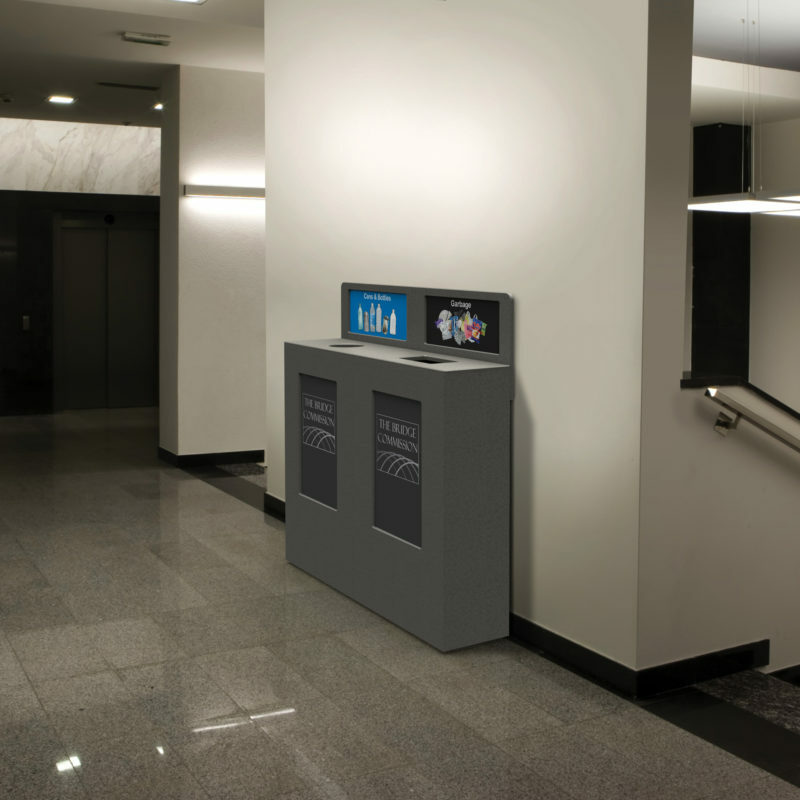 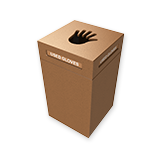 This attractive narrow recycling station was designed for areas that require maximum clearance due to fire code and accessibility reasons. Unique features such as magnets on the lids and innovative bag clips allow for easy servicing. 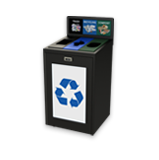 Help keep your streams clean with high-impact optional posters and back board graphics. 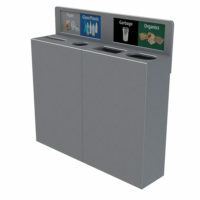 Ideal for narrow spaces such as hallways and meeting rooms. 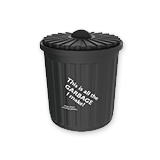 IRCT26-1 40 lbs / 18 kg 26 USG / 98 L 1 21.75" x 11.00" x 36.50"
IRCT26-1-BB 43 lbs / 20 kg 26 USG / 98 L 1 21.75" x 11.00" x 36.50" / 46.50"
IRCT26-2 40 lbs / 18 kg 26 USG / 98 L 2 21.75" x 11.00" x 36.50"
IRCT26-2-BB 43 lbs / 20 kg 26 USG / 98 L 2 21.75" x 11.00" x 36.50" / 46.50"
IRCT52-2 80 lbs / 36.30 kg 52 USG / 196 L 2 43.50" x 10.50" x 36.50"
IRCT52-2-BB 85 lbs / 38.60 kg 52 USG / 196 L 2 43.50" x 11.00" x 36.50" / 46.50"
IRCT52-3 80 lbs / 36.30 kg 52 USG / 196 L 3 43.50" x 10.50" x 36.50"
IRCT52-3-BB 80 lbs / 36.30 kg 52 USG / 196 L 3 43.50" x 11.00" x 36.50" / 46.50"
IRCT52-4 80 lbs / 36.30 kg 52 USG / 196 L 4 43.50" x 10.50" x 36.50"
IRCT52-4-BB 80 lbs / 36.30 kg 52 USG / 196 L 4 43.50" x 11.00" x 36.50" / 46.50"